In The Car from Tash Tully on Vimeo. I lastly uploaded the final animation to Vimeo with the title of the project. Overall this project took a turn I did not expect. I knew I wanted to somehow use the audio from one of my Dad's CDs however I had no idea it would turn out like this. I am really happy with how I utilised the sound in terms of the trapcodes but also how I managed to appropriate these into a narrative to express the emotions of freedom and serenity I felt during my experience. 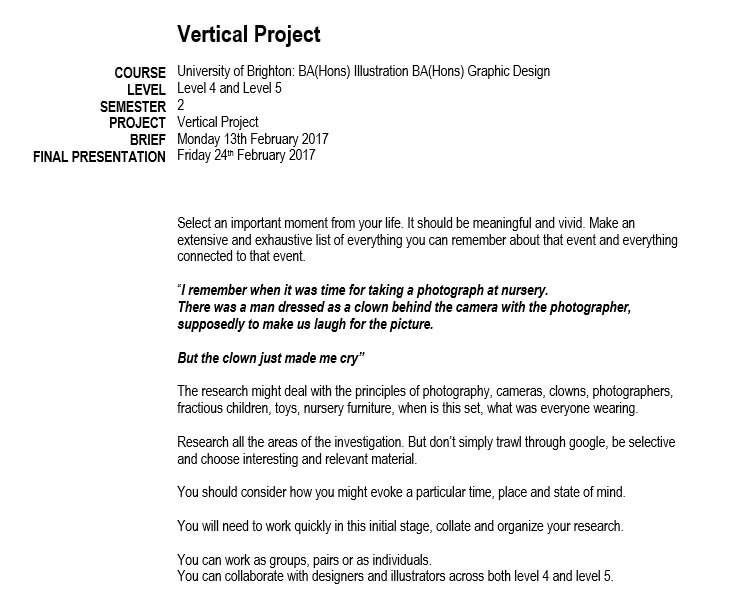 I hope the audience are able to obtain a similar experience and empathise with the work when viewing the animation. To improve it I would somehow magnify the changes in motion to exaggerate that the visuals react to the audio since these aren't too obvious in places. I could also consider colour and possible backgrounds more to extend the serenity. Since the project was really short, around only 8 days long, I feel I've achieved quite an amount in the time. Had I had more time I'd really like to experiment with turning the animation into something physical. In my head I imagine a way of making the animation tangible perhaps through the use of a hologram and lenticular grid which plays the animation dependant on the angle you view and move the images. To gain an idea of how the images work as print, I converted the animation to a little booklet by taking a still from each scene. The stills lose all sense of motion and journey though they are nice to be able to hold and experience physically. To link back to the idea of the circular which I explored throughout the beginning of the project to represent a journey in an abstract way, I interpolated my entire animation from horizontal to polar coordinates. I had no idea how this would look since I had no control over how After Effects patches the edges together. I was really pleased with the outcome. The circular shape meant the bird no long flew from side to side but around the circle highlighting the journey more. Some scenes also caused the bird to disappear in the circle and re-emerge. The circle adds a dimension the flat version did not have. I also interpolated the mirror reflection version however this highlighted further the ambiguity of the imagery and didn't communicate the narrative of journey and freedom as I'd hoped. 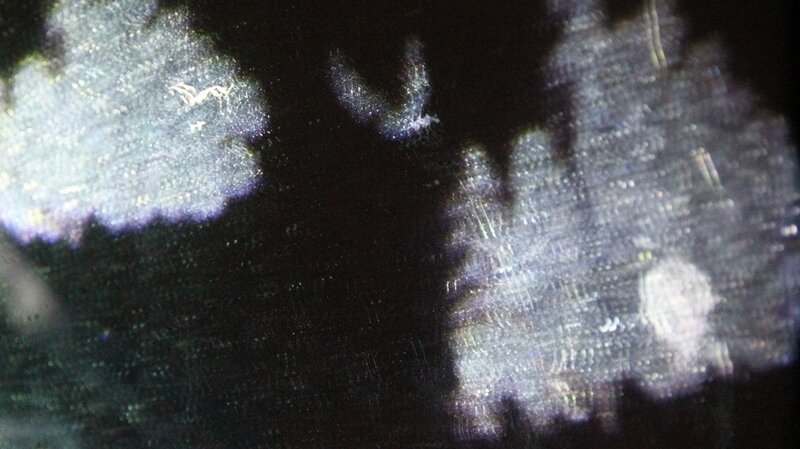 As an extension and experiment with more relevant materials, I projected the animation I'd created onto a mirror. I felt this could represent the looking back in time to the memory, but also hopefully incur some happy accidents reducing the overall graphic quality of the work. Below shows the results of this. Of course it was virtually impossible to remove the reflection of the actual projector however in some scenes this actually improved the animation. For example, when the white bird flew across the light a flare was given off giving a sense of the sun adding a warmth to the overall animation. The dust on the mirror added an unanticipated texture which blurred the animation and made it more like my memory which is less clear than the graphic versions. For me however, the animation was almost too blurry and, in some scenes, unrecognisable. The trapcode lines were also lost which lessened the reaction to the audio. As I mentioned in previous posts, the emotion I felt I wanted to portray was linked strongly to the sense of journey. Esha_Ega on Instagram (link here) shows work which maps a journey through various environments. The sound accompanying the animations aren't too disimilar to the sound I'm using. Up til now I'd used circular motions to mimic this such as the rotation of the car wheel as it progressed, or the hand of a clock as it passed time, or the journey of a CD as it turns in the player. None of these visual representations were able to establish the emotional connection I wanted. I wanted people to experience the feelings of freedom and progression I felt at the time. I therefore wanted to use more recognisable imagery in combination with the trapcodes which responded to the audio. To represent the sense of journey I felt I needed a character of some sort which also was reminiscent of the freedom I felt. I could have used a person who I designed however this felt too cliche. Instead I thought of other signifiers of freedom and the first idea I had was a bird. Since time was short in the 8 day project, I found a greenscreen of an eagle in flight which I edited in colour and size to add to my trapcodes. Using the trapcodes I'd created altering their form as I went, I created a number of scenes of the bird flying through environments I associate with freedom. Most of these were natural scenes of mountains and the sea since this is where I remember driving most with my Dad. These are also places of serenity, linking to the calmness, enjoyment and freedom I experienced. The scenes are however fairly surreal like Activated Memory in their black and white tones linking back to the idea of memory. The trapcodes appear to work really well with the audio, reacting as the song progresses. The recurrence of the bird in each setting is intended to represent a journey like mine looking out the window as the car drove its way. 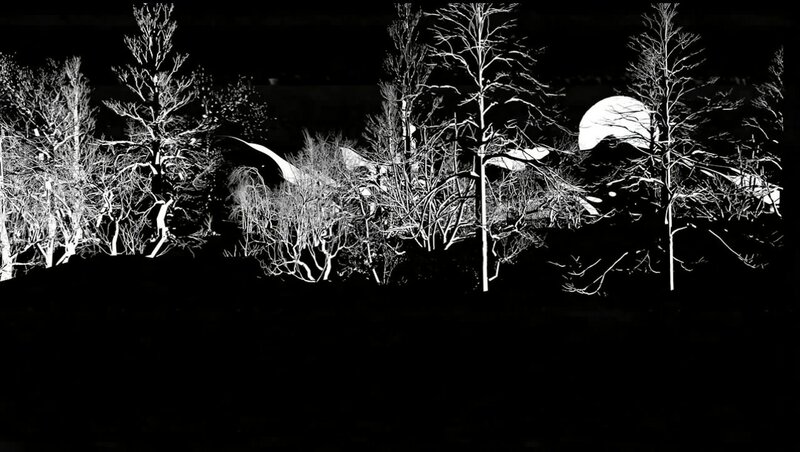 Convert your images into visually artistic sound waves from Roy Mayberry on Vimeo. Having decided my project needed a stronger visual familiarity in that, abstract shapes aren't able to convey the emotion I used to experience when listening to music with my Dad in the car, I began researching the use of trapcodes in recognisable image creation. From my research I found very little. Trapcode form tends to be used for abstract, waveform shapes only, not to convey a narrative. This made me want to pursue the idea even more. I wanted to utilise the trapforms I'd created in a way that no one had before. The video above shows the use of a spectrogram with images. The tone of the piece above is fairly dark and eery perhaps due to the sound and the images chosen however the overall use of sound art and images is along the lines of where I want my work to head. I still favour how the sound appears to control the image as it slowly appears and reacts to peaks in the sound. I'm hoping that by combining my trapcodes with my sound, the whole image will move as one. ACTIVATED MEMORY I from Sabrina Ratté on Vimeo. Secondly I came across the video Activated Memory. This piece shows a journey through a serene landscape where the trees and fields are at once surreal and familiar. Through the use of video feedback, 3d animation and color manipulations, the pictures render a new kind of space, a virtual world where only fragments of reality subsist. This element of surrealism signifies a memory due to its ambiguity. The uncertaintly is something I could bring to my work. The blurriness reminds me of the unclearness of my memory as a whole. After conducting some more research following my spectrogram explorations, I came across a process on Adobe After Effects which, with experimentation, allows for the mapping of audio to visuals. Trapcode Form is a particle system that creates particle types, mapping them to 3D objects or integrated audio. Using this plugin, I began experimenting with the particles using the 'audio react' function which causes the particles to move in response to the audio. I then explored the fractal function which, instead of keeping the image entirely circular, adapts the shape to respond to differences in the audio. I was really intrigued by this process since, for me, it materialised the sound. It turned the sound into keepsake images which could be kept as a sort of photo album of memories. 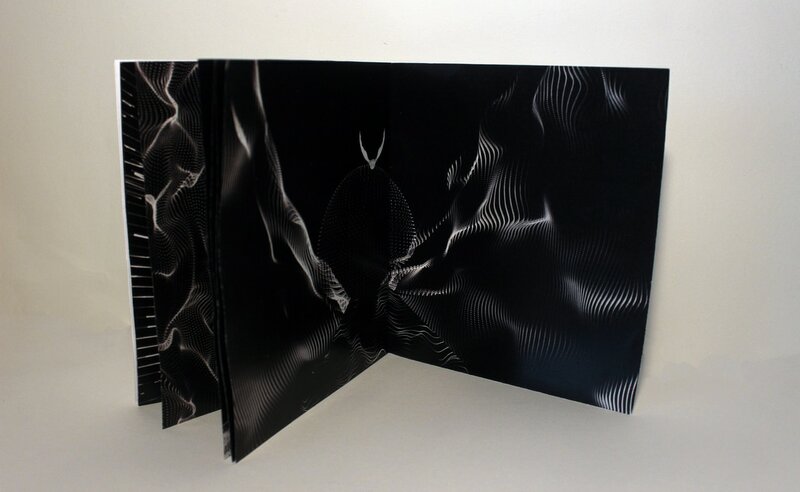 The motion is mesmerising and transports you to another place when viewing it coupled with the sound. It creates something surreal and other-worldly which is a similar experience to me thinking back to the memory of me in the car with my Dad. To extend my ideas now, I want to begin depicting actual images rather than abstract shapes. Hopefully this would connect the viewer more to the emotion when experiencing my memory. 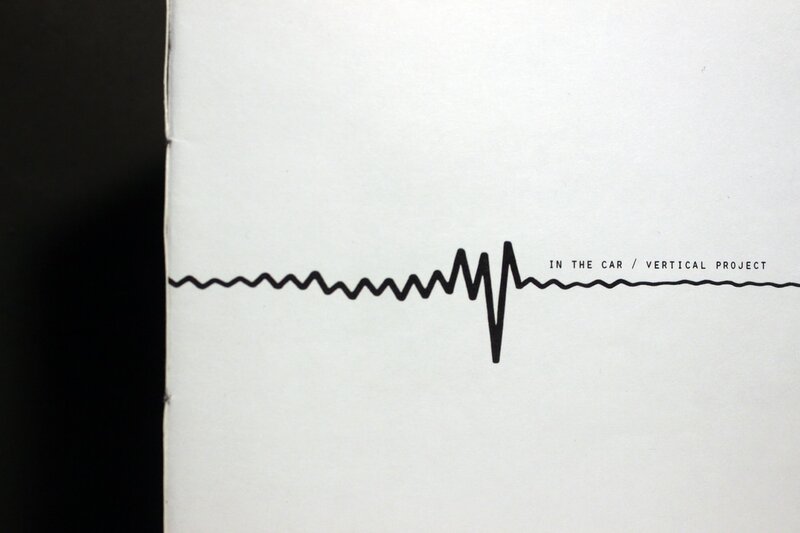 To mimic the circular motion of the CD in the player and the rotation of the car wheels during the journey, I interpolated the spectrograms from rectangular to polar. 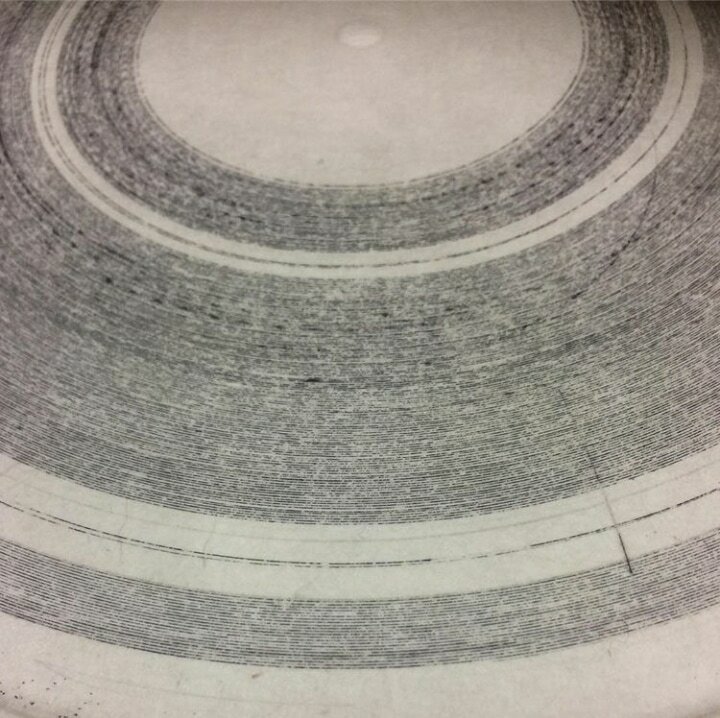 This translates the horizontal paths to circular meaning that as the spectrograms progress through the audio, the paths begin to create a circle like the hand of a clock tracking through 60 seconds. Again, the animations look like CDs mapping the journey of the audio in the same was a rotation of the car wheel which progresses at the same time as the CD when listening in the car. To extend the visualisation of the audio CDs my Dad and I used to listen to, I began exploring spectrograms. Spectrograms are a photographic or other visual or electronic representation of a spectrum. Spectrograms are individual to each song and thus creates a pattern of the sound. I wanted to explore a method that mapped the journey of the car but also the journey of how I still listen to the music. The spectrogram does this. It tracks the entire progression of the songs and translates them to something the eye can understand. I enjoy how the sound concurs with the visuals such that a spike on the image would be coupled with a spike in the sounds heard like the sound is controlling the image which it essentially is. I would like my final outcome to be controlled as little by me as possible. It would be interesting to create an image mostly influenced by the audio itself, in a similar fashion to the spectrograms below where they appear to control and illustrate the images. Phonography, meaning "sound writing" in Greek, refers to a system of shorthand stenography developed by Isaac Pitman. 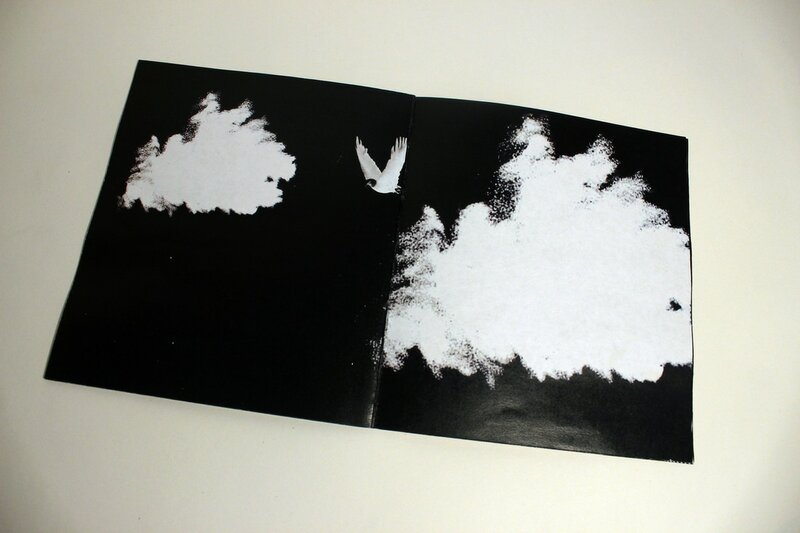 This translates sound to visual ephemera often using the concept of field recording, the recording of natural sound. 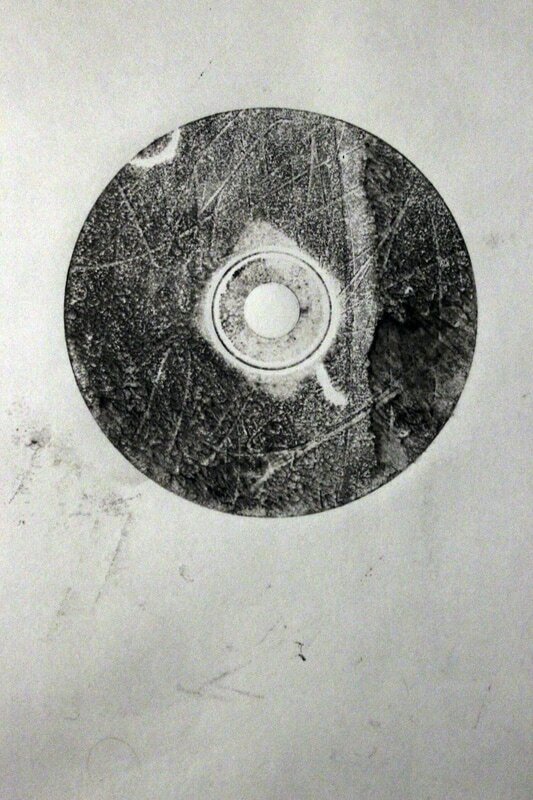 Daniel Clark uses this in his piece 'Buccal Voice' which shows an etched phonography on copper. 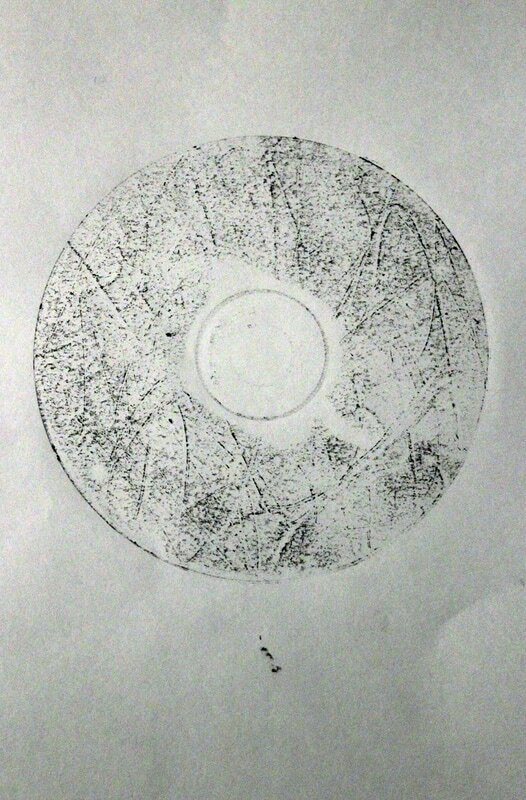 Although it is not 100% clear how Clark obtained the images above, I can only assume he etched sound onto a copper disk which he then inked and printed using the same method as I did with the CD. Clearly, Clark's print is far more detailed than my own since etching onto copper using a machine would allow for a deeper, more detailed print. The aesthetic of Clark's print reminds me of a spectrogram, a photographic or other visual or electronic representation of a spectrum. I plan to explore this next since it extends the visualisation of sound in another way. Following that I need to focus in further on evoking the freeing and happy atmosphere that accompanies my memory of the experiences. Since sound was the focus of my memory, I revisted the environment in which the memory was formed. I got into my Dad's car and began audio recording a song we used to listen to when I was younger. This, in combination with the sounds of the car and the surrounding environment, well replicated my experience as a child for me to begin to play with visually. The sound of the car with the audio track should also help prevent any copyright issues also when uploading my content for documentation. Following the consideration of the circular motion, I came across this ideo which details how a steering wheel works yet it is not the informatic element I am interested in but the repititious use of circles within the clip. There are motor bikes driving in a circle, rotating wheels and cogs and other mechanical objects in circular motion. The idea of a journey is clearly evident and even broken down into the basic component parts which make it possible. Since I couldn't find the VHS I wanted to work with at home, I selected the next best thing. As a child, my Dad and I would often exchange homemade CDs on special occasions like Father's Day or Christmas. To this day I have the same CDs in my car to listen to on journeys. My Dad and I would regularly go on drives simply to sing along with the tracks. These memories aren't exactly vivid since the visual aspects weren't important however the memory of the feeling and emotion are strong. Using the audio, I want to create work which resonates the same emotion, allowing the viewer to experience how I felt when in the car with my Dad. In order to evoke the same feelings I experienced, I feel the use of audio and visual in combination would work best. As a starting point, I therefore began attempting to visualise sound. 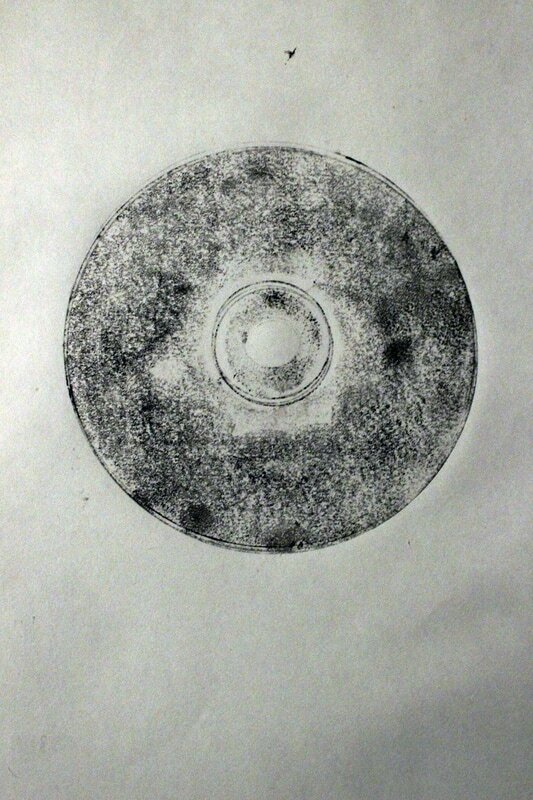 I took the CDs and created prints using ink. 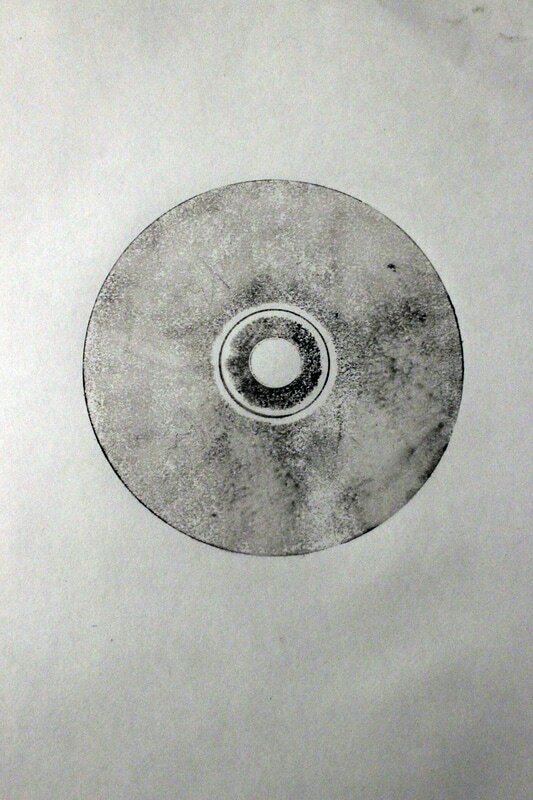 Since the CDs are essentially etched to map the sound waves to grooves, I began treating them like etchings. I coated them in ink, rubbed away the excess and printed them on dampened paper. Some of the prints worked really well. Although they didn't explicitly show the grooves they helped obtain a visual translation of the sound through their texture and pattern. Following the prints, I began animating the outcomes. 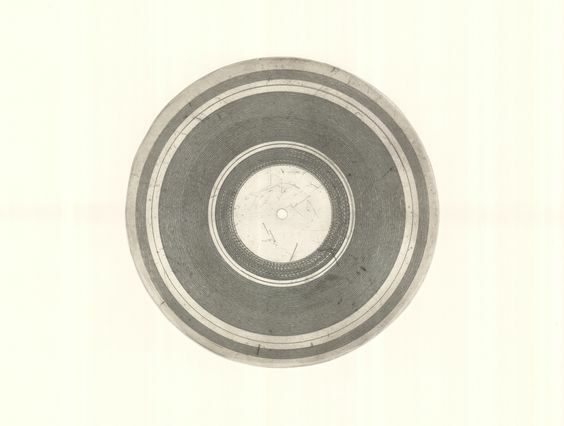 I took the circular print and began rotating it to mimic the rotation of the CD in motion when playing the audio. In addition, this also replicates the motion of the wheel of the car when listening to the CD and thus seems to translate the circular motion to a sense of journey. It is this journey and the feelings experienced I want to expand upon. Since I'd decided to focus on the audio from old CD's my Dad had gifted me, I began researching similar ideas during which I came across copies of vinyls from Soviet Russia back in the 50's. 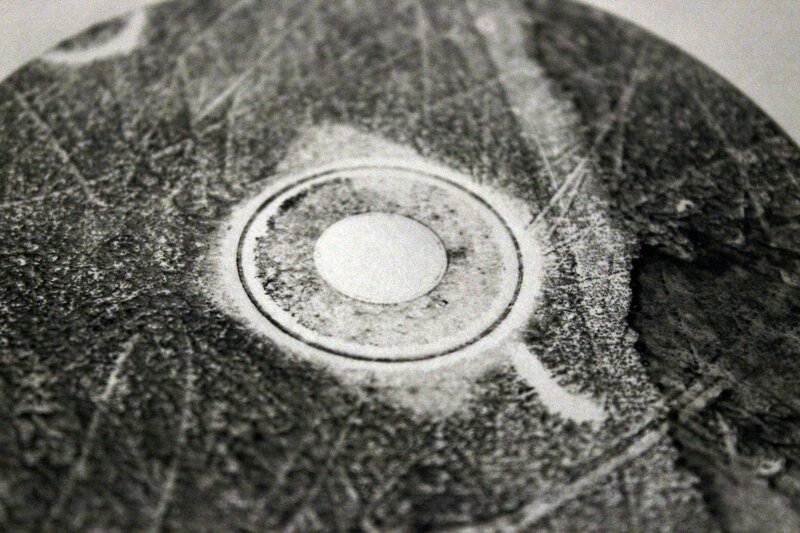 The images above show how the Stilyagi (soviet hipsters essentially) created homemade records by pressing discs on exposed X-Rays. 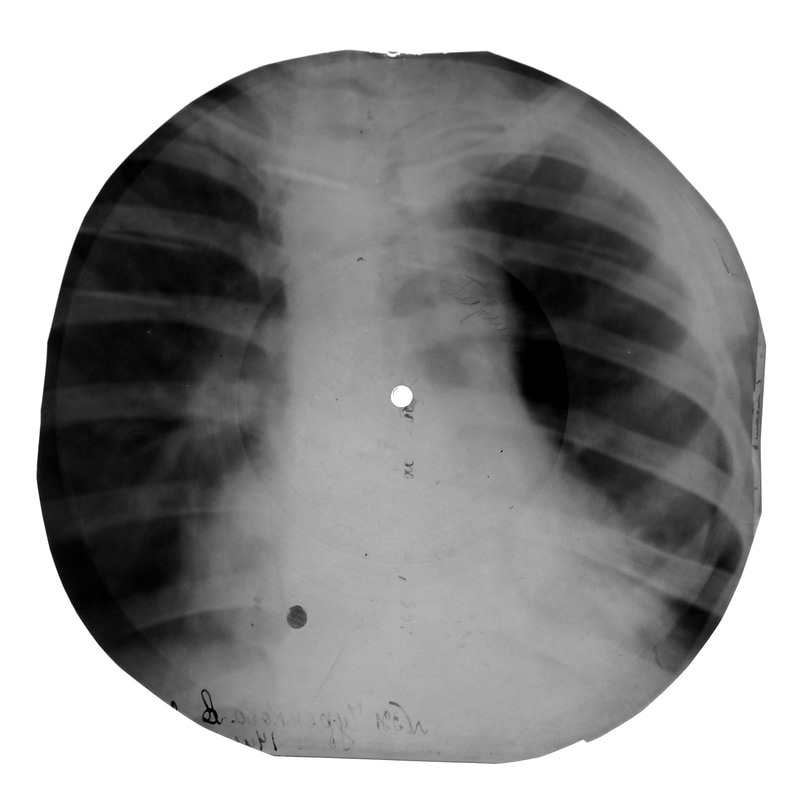 Because vinyl was scarce in the Soviet Union, the Stilyagi would dig through hospital waste bins to find discarded X-Rays, which were both plentiful and cheap. Using a standard wax disk cutter, the Stilyagi would copy Western records that managed to make it into the Soviet Union through satellite countries such as Hungary. 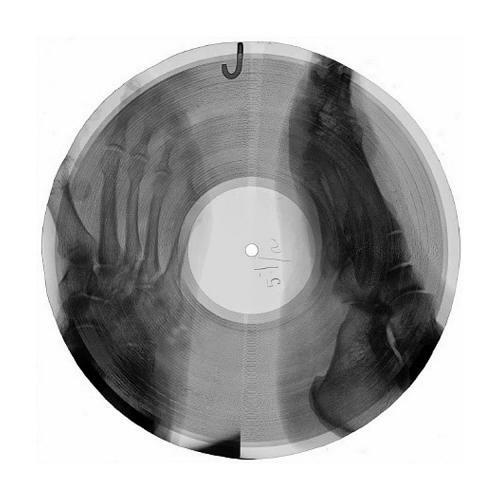 They would then etch a copy of an album into the X-Ray, cut it into a crude circle with manicure scissors, and use a cigarette to burn a hole in the middle, allowing the record to be played on any turntable. 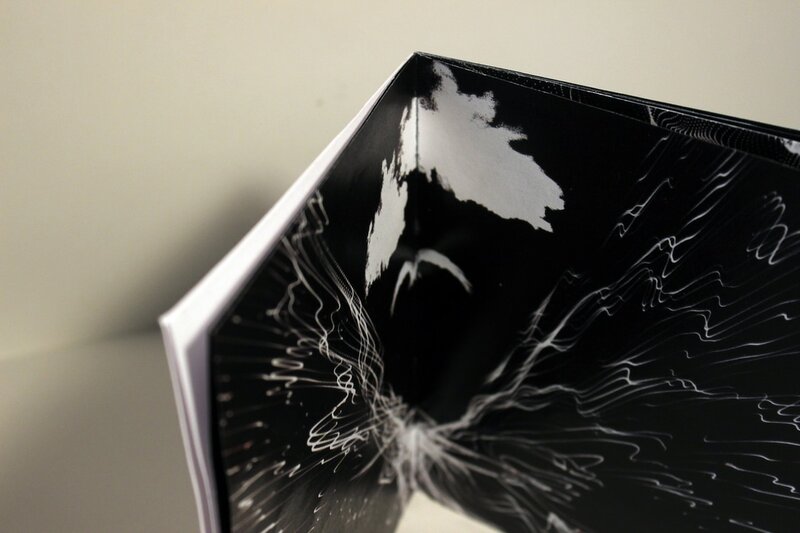 Not only did this allow them to listen to music, but it created visual versions of the albums, preserving a memory as a result. Re-Animating Materiality Through Sound: The interplay of materiality and sound offers an opportunity to re-think how the creation and meaning of sound can be produced and experienced – through space, bodies, material forms and technology. This panel session will enliven the topic of Re-animating Materiality Through Sound with a series of lightning talks, presentations, and table top demonstrations. I really wish I could attend this workshop but sadly I can't. I can however take inspiration from the idea to enable others to experience my memories by translating my sound memories to visual experiences. ​Space Intimacy: This London College of Communication collaboration challenges the public to abandon their own personal borders by being fully immersed in somebody else’s mind. Working with the Collective this intervention aims to create an installation that engages with the public audience to capture their personas. Again, this inclusion of others is interesting. I wonder if I can replicate my memory accurately enough for someone else to experience how I felt. In a 2011 study, Finnish researchers used a groundbreaking method that allowed them to study how the brain processes different aspects of music, such as rhythm, tonality and timbre (sound color) in a realistic listening situation. The researchers discovered that listening to music activates wide networks in the brain, including areas responsible for motor actions, emotions, and creativity. Their method of mapping revealed complex dynamics of brain networks and the way music affects us. For this study participants were scanned with functional Magnetic Resonance Imaging (fMRI) while listening to a stimulus with a rich musical structure, a modern Argentinian tango. The Finnish researchers correlated temporal evolutions of timbral, tonal, and rhythmic features of musical stimulus. While timbral feature processing was associated with activations in cognitive areas of the cerebellum, and sensory and the default mode network gray matter of the cerebral hemispheres, musical pulse and tonality processing recruited cortical and subcortical cognitive, motor and emotion-related circuits. The researchers found that music listening recruits the auditory areas of the brain, but also employs large-scale neural networks. For instance, they discovered that the processing of musical pulse recruits motor areas in the cerebellum and cerebrum, supporting the idea that music and movement are closely intertwined. Limbic areas of the brain, known to be associated with emotions, were also found to be involved in rhythm and tonality processing. Processing of timbre was associated with activations in the so-called default mode network, which is assumed to be associated with mindwandering and creativity. "Our results show for the first time how different musical features activate emotional, motor and creative areas of the brain," concluded Professor Petri Toiviainen from the University of Jyväskylä. "We believe that our method provides more reliable knowledge about music processing in the brain than the more conventional methods." Using an old VHS tape I have at home entitled 'Natasha', I could use the film directly, adapting it or re-representing it in some way. The film clip involves my cousin and I playing on a bouncy castle. We run from side to side until we clash in the middle. I fall to the floor in tears while he continues to run from side to side. The overall tone is humorous and draws upon old technologies in the VHS tape and old brands in my Flintstones cartoon t-shirt. Unfortunately, I couldn't locate the tape when I got home which was really disappointing. Instead I had a look through a number of old discs we kept at home which included video footage and photographs. As a child one of my favourite things was to go on drives with my Dad and sing along to his CD's. I feel my Dad has really influenced my music taste now and I still enjoy a good sing-a-long with him in the car. We often traded homemade CD's on events such as Father's Day or Christmas. Music is still a big part of my life to this day. I produce work while listening to work and I am a dancer which requires a great deal of interest in music and its interpretation. I am interested in how music can evoke a memory and often find that music causes an emotional reaction or an increase in memory recollection. When I think back to a vivid, intense memory this is the first that comes to mind. It is incredibly dark and haunting for myself. It involves me walking to the bus stop when I saw a dog hanging from a tree. I froze with fear that the owner had hung the dog. I realised then how bad I would be in the instance of a crisis as my body froze. Luckily it turned out that the dog was simply biting on a branch up in the tree in attempt to catch a squirrel. My reaction to this realisation was to cry. My work has recently become quite dark however this story I feel is exposing and uncomfortable. I'm not sure where I could take this idea yet either in order to represent it.